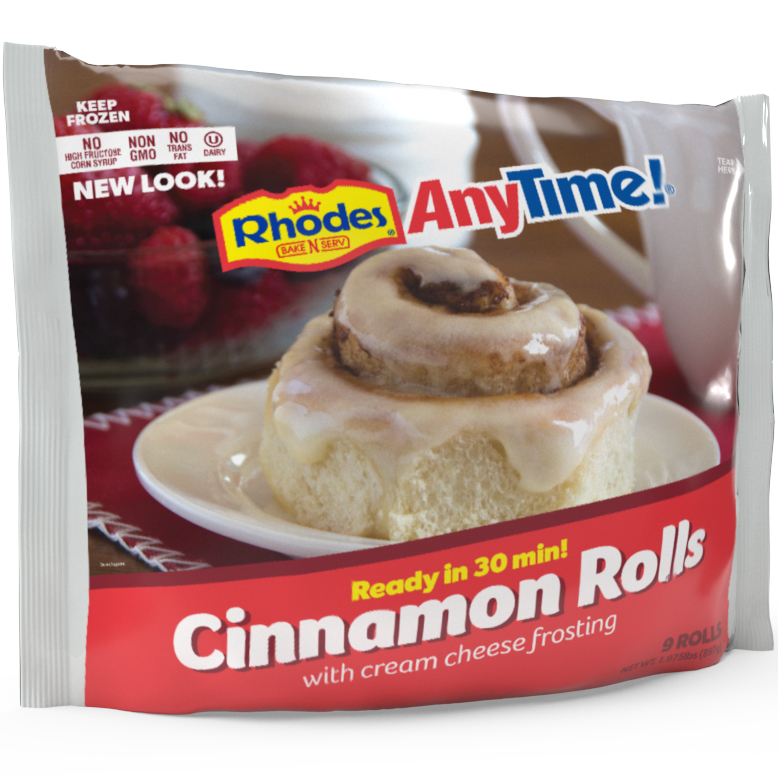 Rhodes Bake-N-Serv™ AnyTime!™ Cinnamon Rolls will bring pleasure to your taste buds and even more to your busy schedule . Simply take them out of the freezer, place them on a pan, into the oven and bake. 9 rolls are packaged in a bag.